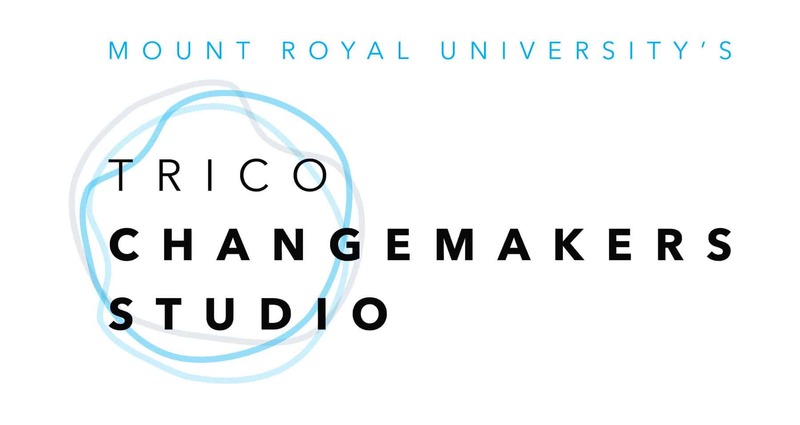 Five Consecutive Days of Immersive Growth & Impact to Supercharge Your Path, Purpose & Performance as a Canadian Leader. WOMENBUILT2SCALE is a curated collection of events, workshops and targeted conversations over five consecutive days designed to convene a diverse cross-section of powHERful leaders to discuss what’s possible as we live, learn + lead from a place of our EPIC potential, taking tangible action for optimized impact. Women-focused not women-only. 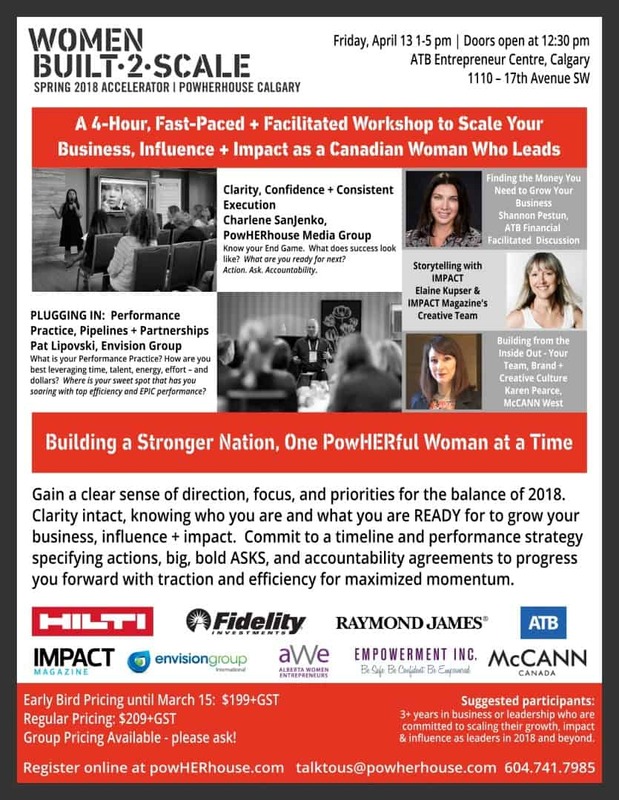 An opportunity for primarily female leaders and decision-makers from corporate, business, entrepreneurship, social impact and community development to gather April 11-15, 2018 focused on immersive growth and impact delivered in bite-sized pieces that build one upon another. The series can be attended as an all-inclusive package or per event to best meet the needs and priorities of our participants. 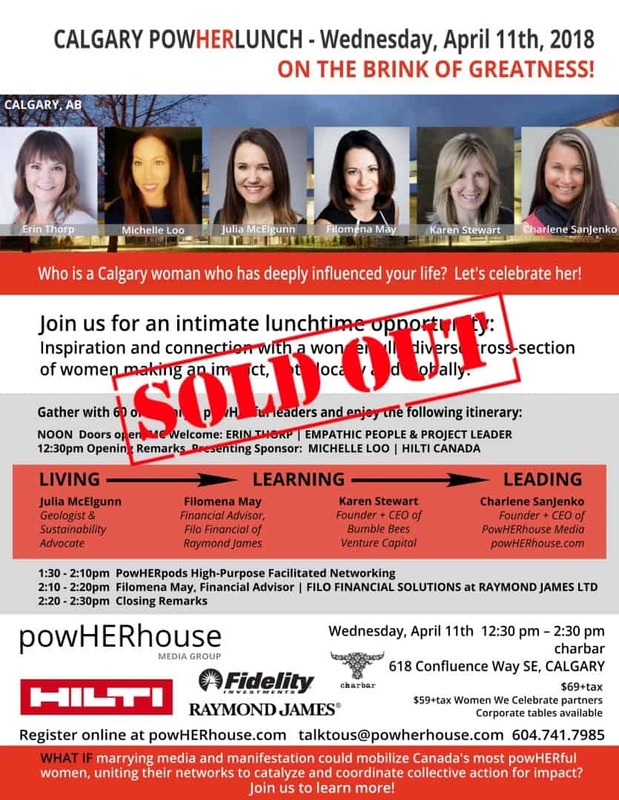 Thank you for another SOLD OUT event! Click to see some photos. 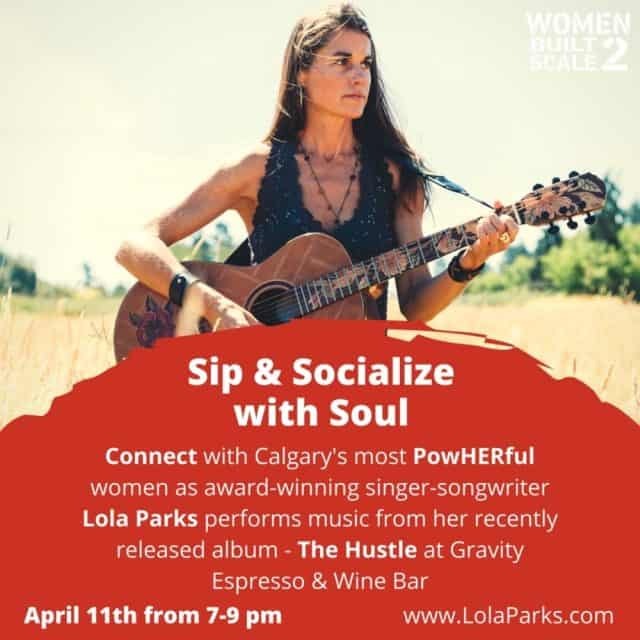 Lola Parks performed music from her recently released record, The Hustle. Details here. It was an opportunity for women from business, government, sport, entrepreneurship, social impact + innovation and community leadership - to connect! Targeted breakout sessions to encourage deeper connections, conversations and breakthroughs. An event to thank the supporters of WOMEN BUILT2SCALE and the work of PowHERhouse Media Group to Build Strong Women Who Lead. Learn more here. What does it take to SCALE? Meet Our Facilitators. S = SPECIFICITY | Know your End Game. C = CLARITY | What does success look like? A = ASK | What is your ASK? L = LEVERAGE | How are you best leveraging time, talent, energy, effort – and dollars! E = EFFICIENCY | Where is your sweet-spot that has you soaring with top efficiency and EPIC performance? 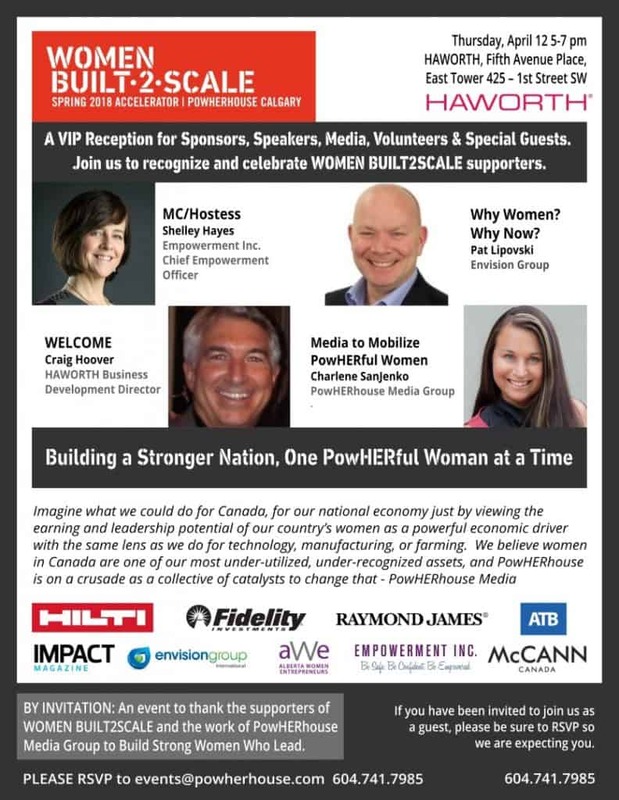 Building a Stronger Nation, One PowHERful Woman at a Time! 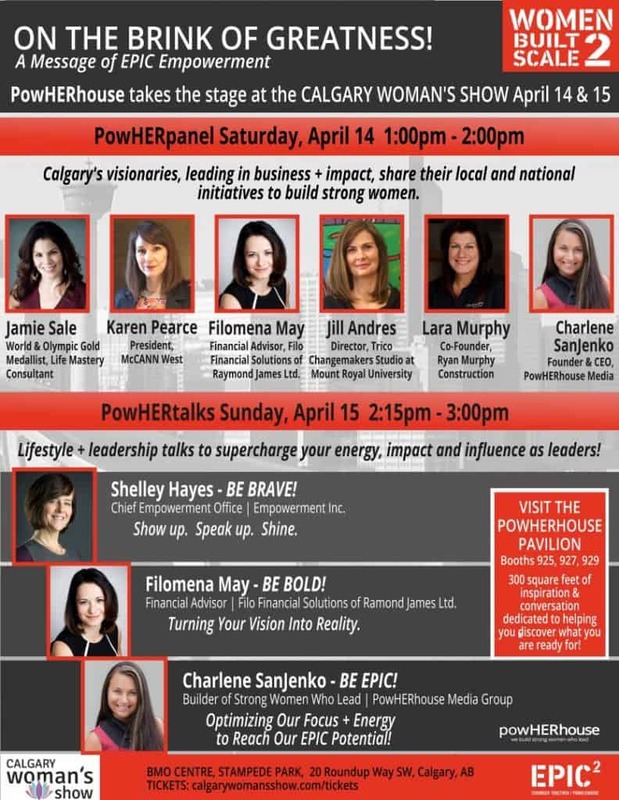 Calgary's visionaries, leading in business + impact, share their local and national initiatives to build strong women. 5-minute lifestyle + leadership talks to supercharge! Stronger in our bodies, stronger in our lives as leaders! Canadian women are playing small. Operating under our EPIC potential. Bigger. Bolder. Braver in 2018. 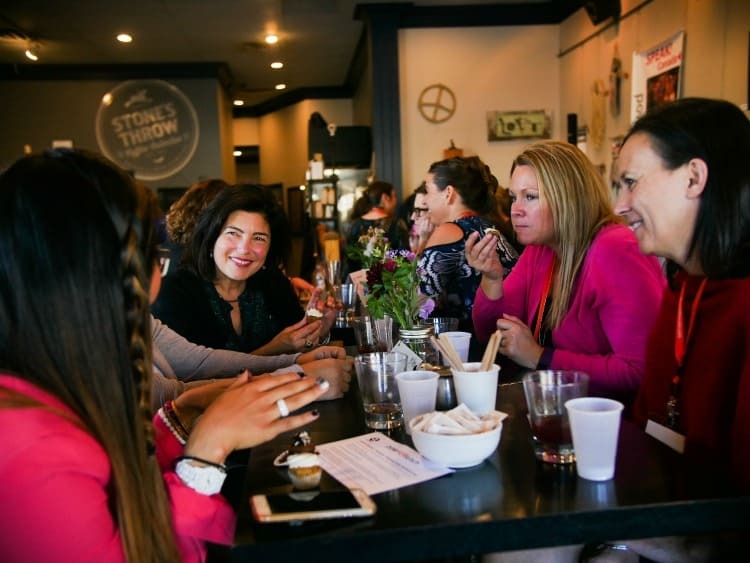 Find out where you should be investing your time and energy during our WOMEN BUILT2SCALE Event Series and why. Learn who our suggested audience is for each aspect as well as our anticipated outcomes. Take the guesswork out of determining where to best place your focus as you make plans to join us. Commit now to avoid disappointment. Limited spots available. Sign up to be in-the-know as speakers are announced and all of the event details begin to fall into an absolutely and intentionally EPIC place!